After a moment of madness and maybe too much Google one night, I discovered that it was potentially quite easy to take in 4 European Capitals in around 8 days, quite comfortably. When I returned from the trip, a few people have asked me for the details and how easy it was to organise. It was a fantastic holiday that believe it or not did not feel rushed and only cost around £450 per person for the entire trip. Considering many operators charge around £900, I thought I would post just how easy it is on here for anyone that is interested in seeing 4 capital cities in 8 days. 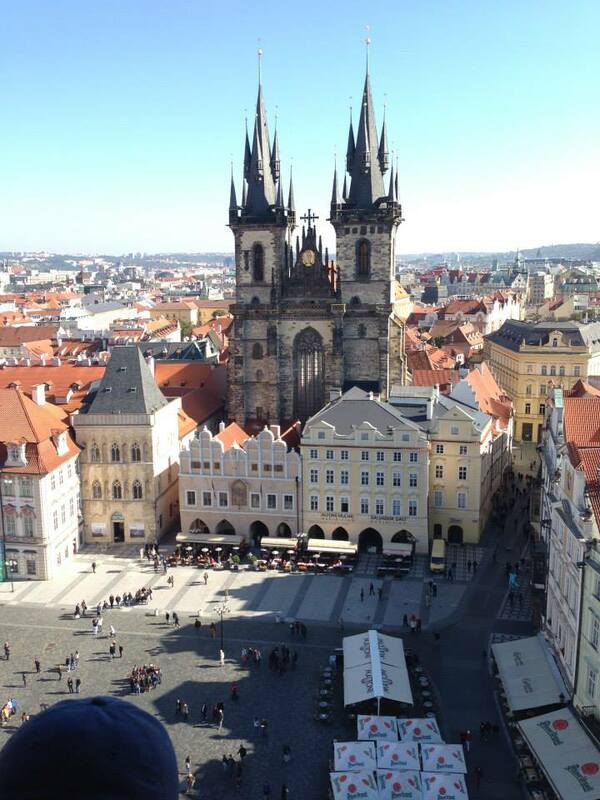 All I needed was to make the most of online resources such as Seat61 and Trip Advisor, before planning the trip I always start with the most important aspect which is the flights, so I booked a flight into Prague and a flight home 8 days later from Budapest. That’s the easy part sorted; now it was time to plan our trip. As we are only spending a couple of days in each city, I only ever have three rules to follow and that’s to book a hotel with free Wi-Fi, free breakfast and most importantly located within a 5 minute walk of an underground or rail station. Buy a 3 day underground travel pass – This will pay for itself and give you the ultimate freedom to anywhere you want to go without constantly searching for loose change. Free Wi-Fi is essential when you want to plan your sightseeing or look anything up when your weary feet return to your chosen hotel room at night. If you can get to and from your hotel with minimal effort, have the safety net of the entire internet at your disposal and awake to a big breakfast, there isn’t much else that can go wrong in my simplistic view of the world. 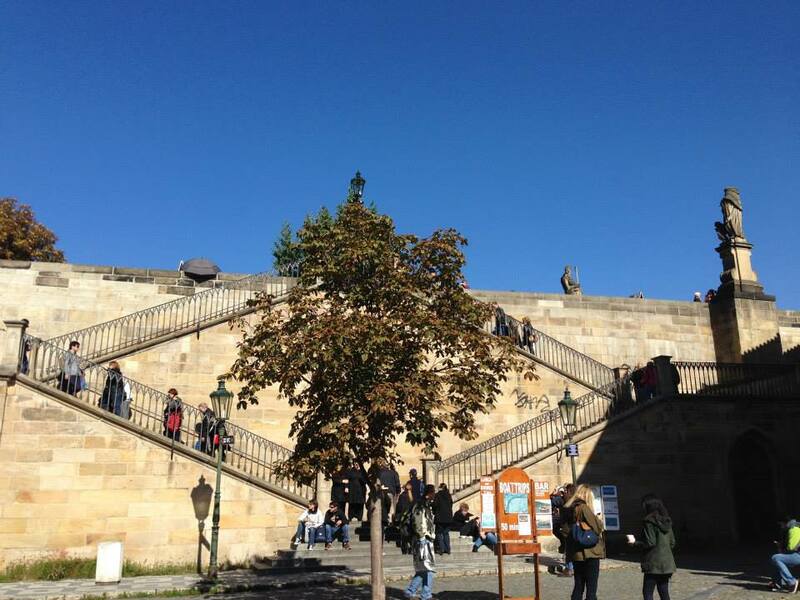 St Charles Bridge Prague – Mission Impossible Anyone? We arrive in mid-afternoon in Prague and immediately took advantage of the best value public transport I have ever used. For just under £1, we hopped on the 119 Airport bus which after a 25 minutes dropped us at the underground station which would take us to within a 2 minute walk from our hotel. Full guide on tickets etc can be found on the Czech Transport website here. The Raffaello hotel is located next to the I.P.Pavlova metro station, just 500 metres from the central Wenceslas Square so the perfect base for a city break. Essentially you spend very little time in your room so as long as it’s clean with amenities I will be using in an ideal location this is all that I need and after under an hour of leaving the airport we were settled and ready to explore. After a few days in Prague we were ready to move on to Vienna, there are a number of options here such as a midnight train where you can live out your James Bond like fantasy in a sleeper carriage and although it would save on the cost of a night in a hotel, the prospect of arriving at 6am and is not something that appeals to me so instead we opted for a 4 hour bus journey which comes complete with free Wi-Fi and only costs 20 Euros! The best options for this trip are WestBus or Student Agency . 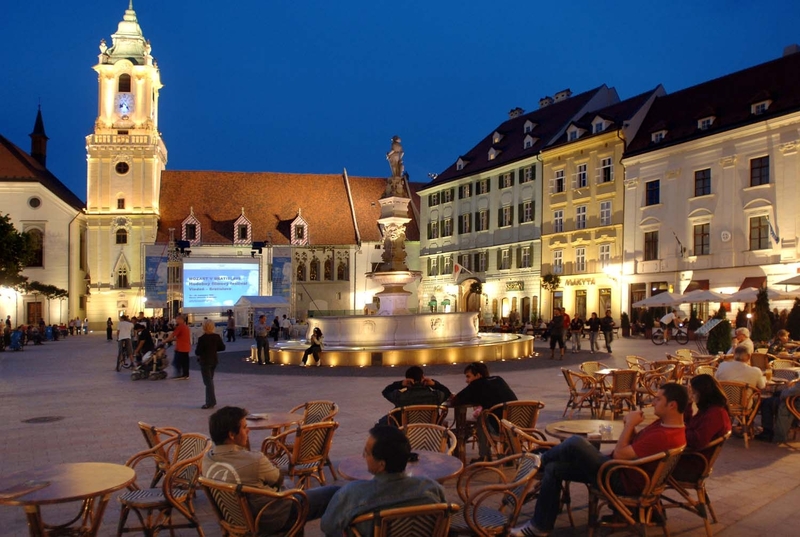 To get in the mood for arriving in Vienna, we watched the movie Before Sunrise which follows the two main characters as they wander and discover the city together, the prospect of retracing Jesse and Celine’s footsteps made the journey quite exciting. Once again upon arrival we purchased a 3 underground travel pass and head to the Star Inn Hotel. The Längenfeld Underground Station (lines U4, U6) is just 100 metres away making this the perfect base and incredibly easy to find. If you are a movie buff you won’t want to miss the familiar locations used in the Orson Welles classic The Third Man. A 1 hour train ride away from Vienna is Bratislava, so it would be rude not to pass by the capital of Slovakia whilst we are here. In truth you only need around half a day in this tiny city, so we treated as ourselves to a lazy day and hopped on a train around 11am (tickets can be purchased in advance from here ) and arrived around lunchtime. The city is quite compact and you can see everything in an afternoon before heading back to your hotel in Vienna. After filling ourselves with the all you can eat breakfast in Vienna we headed to the train station for a 3 hour journey to Budapest. Once again upon arrival, I purchased a 3 day underground travel pass and headed to the Belvedere Hotel which was around a 5 minute walk from the metro station and again a good base. 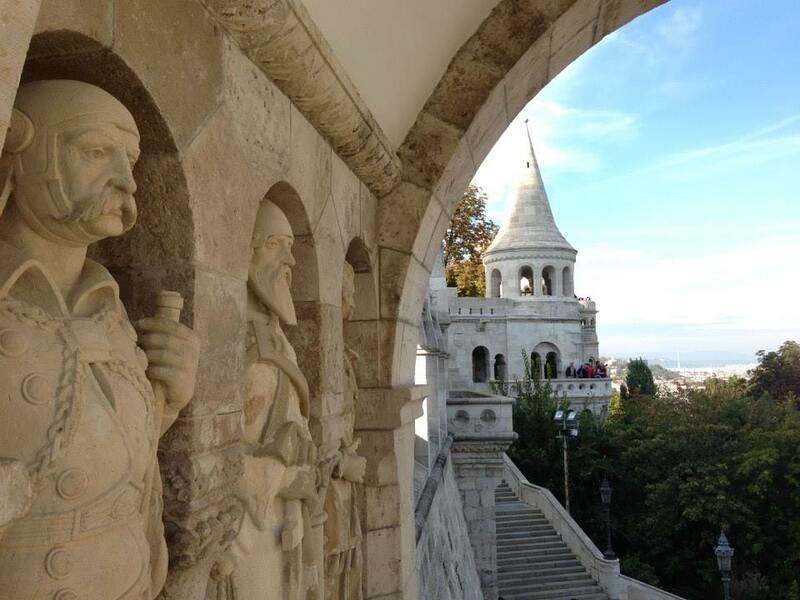 Budapest, the capital of Hungary, is really two cities: Buda and Pest. The Danube River divides the two towns that are really one: Buda + Pest = Budapest. So when planning your iteniery it is is probably worth spending a full day on each side of the Danube. 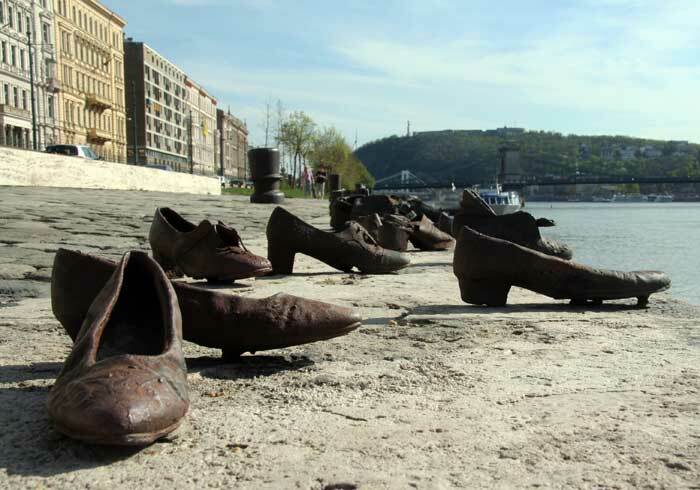 There is a little known and yet very moving installation, on the banks of the Danube where rows of Jews were tied to each other with their hands and feet tied together, they were instructed told to remove their shoes due to there value at the time. In order to save bullets the person in the middle was shot, as he fell into the water the others were pulled in with him and drowned! Such a sad and tragic part of history that should never be forgotten and this art installation is both thought provoking and poignant. This was not in any guide books that I brought with me and was fortunate to have found this after finding it on Trip Advisor. If you were to walk past, you probably wouldn’t even know what it was but when you know the story, it really blows you away. The easiest way of finding this, is to walk down along side the Danube at the Chain bridge and head towards the Parliament. As your break comes to an end, you will return with more than a few stories, I won’t bore you all with what to see and do in each of the cities as you will have your own itineraries, but I just wanted to show how incredibly easy this trip is to put together. Did the same trip, in reverse. Leave Budapest for last, unless you prefer your dessert first. Hey do you recommend a eurail pass for getting across these nations in 8-10 days? I would check out the site seat61.com but I seem to remember that would have been more expensive or wasn’t possible at the time we went. It was an incredibly easy trip to plan though. hi I came upon your post, me and my fiance are planning to do this trip starting from bratislava to vienna to prague for our honeymoon by the end of jan 2017. I would like to know about the train or bus journeys between the cities. and about the food . do you think they are a resonable price or not? Bratislava to Vienna only takes an hour and tickets are much cheaper if you buy in advance from http://www.oebb.at/de/ The longest journey is from Vienna to Prague, it takes 4 hours by bus but it only costs 20 Euros (http://www.westbus.at/de or http://www.studentagencybus.com/en/419_419/STUDENT%20AGENCY%20Prague%20-%20Austria) and you get free wi-fi so will be no problem. Bratislava and Prague are very reasonable, but Vienna is a little more expensive for food. thank you so much appreciate it alot! Hi Neil. Thank you for sharing this trip. Would you kindly share the detais of your itinerary for each city. Please send to me at dan.rupinta@yahoo.es Thank you very much in advance. Is it possible to begin and end with Vienna? And, include Salzburg and Hallstatt along the way? I have not done this, but I’m sure with the right planning, it would work out. Seat61 should have everything you need. Great tips. Do you mind sharing the name of the hotels in all the cities that you stayed in? I did a similar trip recently but I also included Munich and Berlin. When planning the trip I came across these articles that I found really helpful and awesome as they list all the possible ways to travel between the Central European cities. Besides trains and buses it describes many other ways, like car-share, private transfer, one-way tours etc. 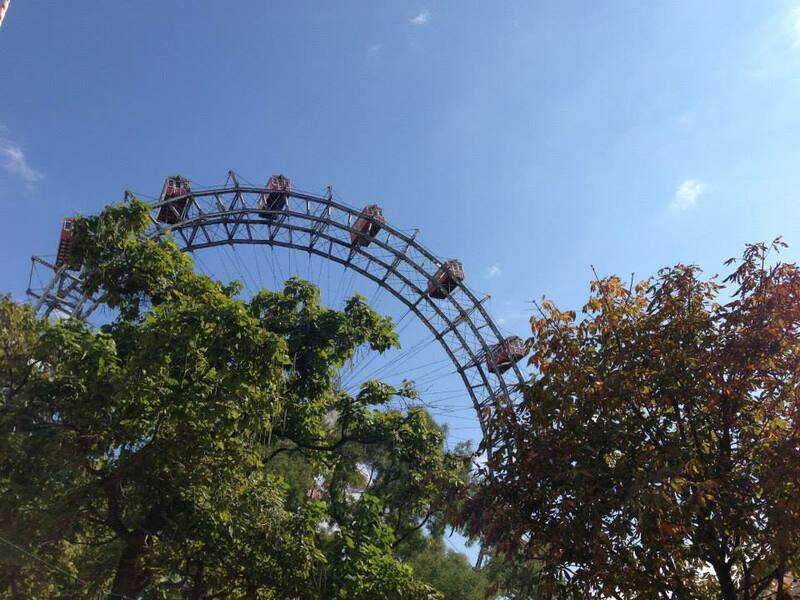 You’ll find all possible links for booking from there and it even rates each option by cost, ease, time, fun and sightseeing opportunities so anyone can find a form of transport most suited to them with ease. From there you’ll find all the other articles as well.